According to a new report, the overall number of staged auto accidents in Florida so an insurance claim could be filed has dropped by more than half since the laws governing personal-injury protection were reformed. The number of PIP claims involving accidents that appear to have been deliberately caused plummeted from 712 in 2012 to 328 last year, according to a study conducted by the National Insurance Crime Bureau. The bureau, which partners with insurers and police, found that questionable PIP claims filed in Florida dropped by nearly 8 percent in a year. The 2012 law requires those involved in motor vehicle accidents to seek treatment within 14 days and limits non-emergency medical claims to $2,500. The reforms also created tougher penalties for medical providers who commit PIP fraud, including a five-year license suspension and a 10-year restriction from PIP reimbursement. Based upon on a review of 20 insurers that offer coverage for more than 75 percent of the Florida market, premiums for PIP coverage are expected to drop by an average of 13.2 percent. Even with the new changes, the National Insurance Crime Bureau ranks several Florida cities as having the greatest number of “questionable claims” in the country. Florida is one of several states that require residents to purchase PIP insurance. 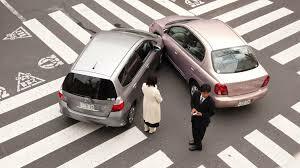 The amount of coverage a person receives depends on their auto insurance plan. PIP insurance is limited to medical expenses and does not cover property damage. Many people confuse PIP coverage with bodily injury liability. The main difference between PIP and bodily injury liability is that PIP only covers the costs associated with the insured party’s medical treatment. Bodily injury liability plans can cover the costs of another person’s injuries that the insured driver may have caused, as well as potential legal fees. If you have been injured in an auto accident in Florida, be sure to protect yourself and speak with a Florida Injury Lawyer at Whittel & Melton as soon as possible after the crash so that you have the best chance at receiving fair compensation. We can help you negotiate with the insurance company so that all of your injuries are covered both now and in the future. Call us today for a confidential review of your claim at 866-608-5529 or contact us online. There is never a charge for your consultation.